Alyson was admitted to the Ohio bar in 2011, but her history with the labor movement goes back fifteen years. Alyson joined the staff of the Cincinnati AFL-CIO Labor Council in 2001 as Communications Director. After several years of working with and advocating for unions there, in particular in the legislative and political arenas, she attended law school. 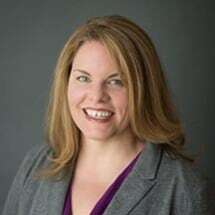 As an attorney she has worked with unions, advocacy, and charitable organizations on matters including civil litigation, establishment of nonprofit tax-exempt organizations, and development and advocacy of legislation.